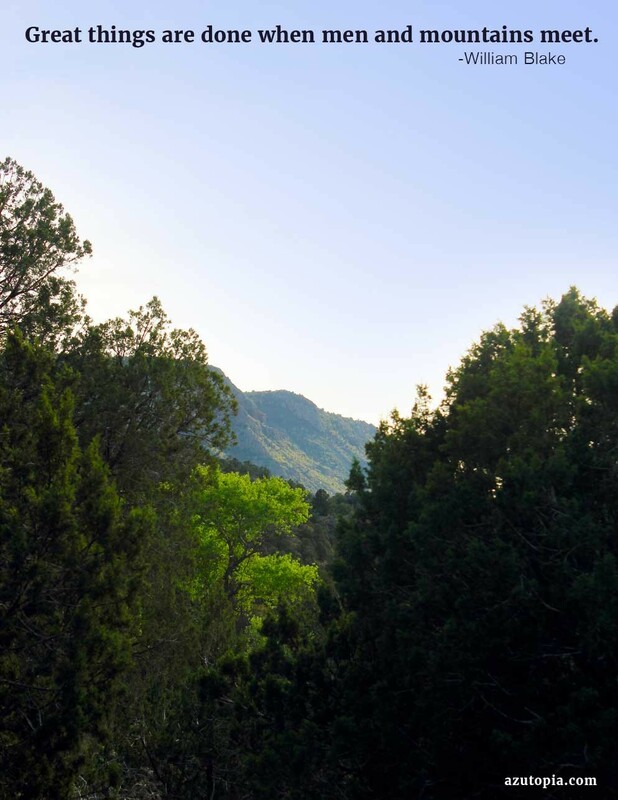 Caught this lovely view of Spring leaves against the mountains by Fossil Creek, Arizona. Paired here with an inspiring William Blake quote. 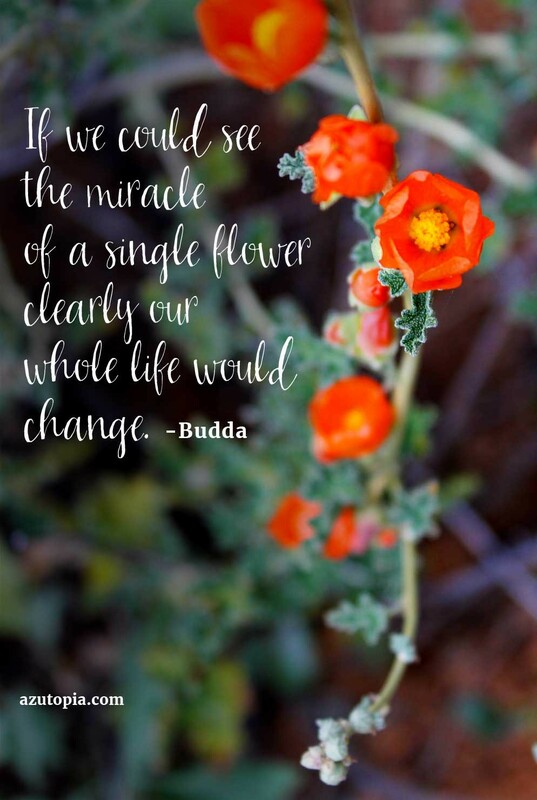 To start your week off right: with this inspiration from Budda, paired with a beautiful Arizona desert wildflower. 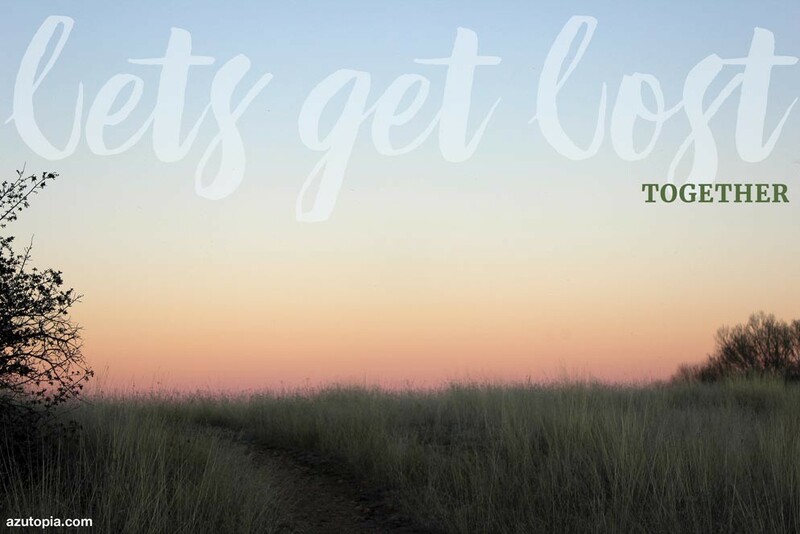 Some hiking inspiration to bolster your week. 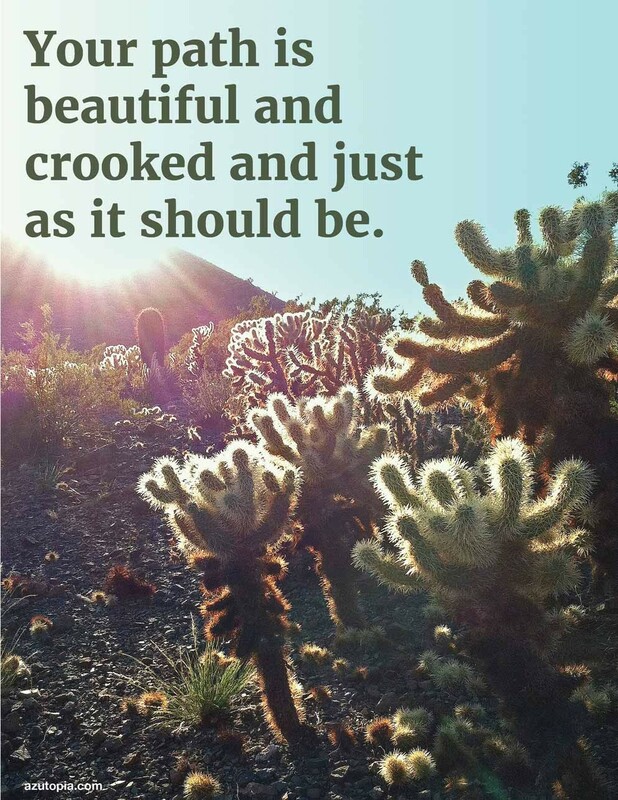 Sage words alongside an image of the sun peeking through Cholla taken at the Sonoran Desert Preserve. 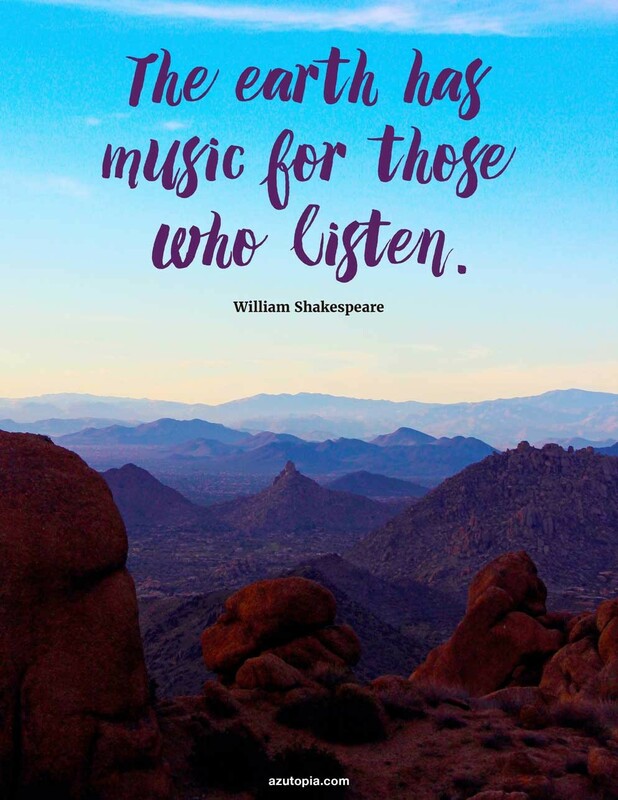 To start your week off right with this inspiring Shakespeare quote paired with and image of dusk over Scottsdale’s Pinnacle Peak. Willow Lake Loop Trail, Central Arizona The soft light and pastel colors of dusk, over a grassy knoll on Willow Lake during last week’s hike, were too pretty to not turn into a Valentine’s Day note. Wishing a romantic day to everyone.